Each combo ticket gets an adult or child into all 3 attractions at Mariner Square in Newport. 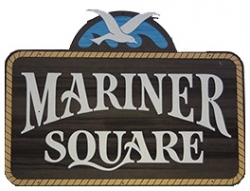 Welcome to Mariner Square in Newport, Oregon – home of Oregon Undersea Gardens, Ripley’s Believe It or Not, and The Wax Works. Set on the bustling causeway lining Newport's historic bayfront – Mariner Square has long been a favorite vacation destination for travelers from near and far. Oregon Undersea Gardens takes you beneath the sea – up close and personal with a stunning array of marine life in their natural habitat. Wide picture windows and the unique dive show bring you as close to sea life as you can get without getting wet.. Ripley’s Believe It or Not features an exciting, and bizarre, array of treasures collected from around the globe. Be part of the world's last great sideshow and take in the oddities that you'll have to see to believe! Where else but The Wax Works can you see Marilyn Monroe and Yoda in the same day? The Wax Works is home to stunningly realistic life-size sculptures and seeings, elaborate in arrangement and with fascinating detail. Take a look around our site and come join us on the beautiful Oregon Coast!